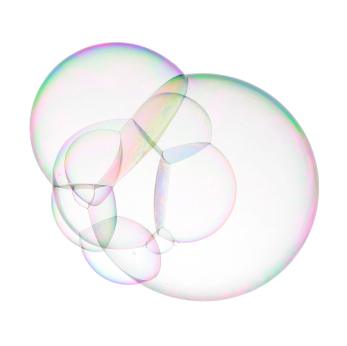 Are we in a new tech bubble? The world has gone irrevocably network and mobile. The burst of the dotcom bubble dampened a lot of the enthusiasm for internet stocks, but companies who were slow to pay attention to the fact the world had nevertheless changed forever are still feeling the repercussions today. HMV for one, is limping along with an outdated business model. But others have ducked the slingshot that has hobbled the retail music industry and learned instead to dance with their tiny disruptors to create not just new business models, but new business ecosystems. Think of retailers like Waitrose and Ocado, or price comparison websites, and the major media owners who host their services on their web portals as a new source of revenue to replace advertising. All throughout the dotcom bust and the financial crisis, broadband and mobile penetration continued to increase. Connectivity became cheap and commoditised, components interlocked and compatibility became the norm.The world has gone irrevocably network and mobile. As a result, very distinct “ecosystems” have emerged during the past half-decade – with companies like Facebook, Apple and Google each commanding the time and attention of millions of users who are also fans. Microsoft was lagging, but its acquisition of Skype puts it in the camp of “watch this space”. Each of these camps are deeply social – there is a network at its core. Each of them has a platform of hundreds of millions of users who access services through the platform. If I have to predict what is different this time around and who will prosper, I would say the camp that organises the most inclusive set of economics in its ecosystem – that is offering the best incentives to consumers and developers to use their platform – will win. This is “ecosystem economics”. The winners in business are those firms who organise the business model in their industries. Ecosystem economics helps us to see that to win today, you as a business owner need to seek out your natural allies and align interests. Shared incentives will drive market adoption of your company’s service or product. Of course, there is another major difference this time around. Companies like LinkedIn and Groupon have significant and growing revenues. While these may not entirely support their valuations, they clearly point to the fact that business models plus their understanding of the network-orientation of all business is on the right track. For those of us who finance entrepreneurship in Europe, what this means is we’re mostly going to help build “digital Davids” – companies who understand how to re-organise the economics to create robust and sustainable businesses where everybody wins – customers, retailers and ultimately of course, investors. So why are firms like Groupon worth billions? How can something as simple as organising a group discount be so powerful? Because ecosystem economics is at play.